Available Color:Black,Green,Beige,Blue,Red,Coffee. 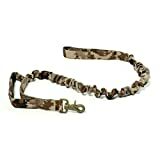 Size: XS, S, M, L.
Why choose a harness to replace a collar ? When your pet wear a collar,it will feel uncomfortable. And it could be injured when it wants to escapade. If you choose Add Home pet harness. Your lovely pet will avoid these damage. Add Home harness will protect your pet perfectly ! Have you ever get annoyed by your pet’s misbehavior? Elegant and simple, this jeans and nylon harness is made to show off your dog’s unique style all year long. 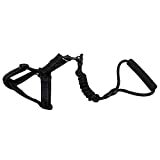 By attaching your leash to the front chest strap you will gain more control over your dog. When your dog pulls on the leash, he will be guided back towards you, naturally and gently discouraging him from pulling. The leash attachment at the chest prevents pressure over your dog’s throat and neck, which is especially important for small breeds that can be susceptible to tracheal damage. 1.Colour of the received item may be a bit different due to lighting. 2.Different manufacturer has different size charter, please do measure your dogs to choose the right size.